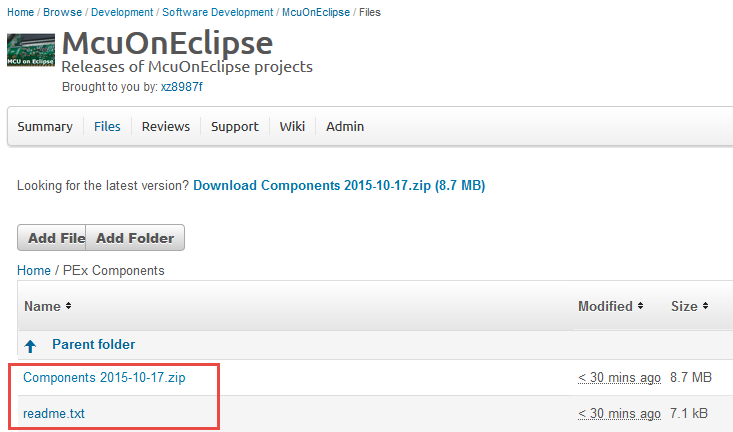 Updating the components is simple: download the latest zip package from SourceForge (https://sourceforge.net/projects/mcuoneclipse/files/PEx%20Components/), unpack the archive and then import the components *.PEupd files into Processor Expert (see “McuOnEclipse Releases on SourceForge“). 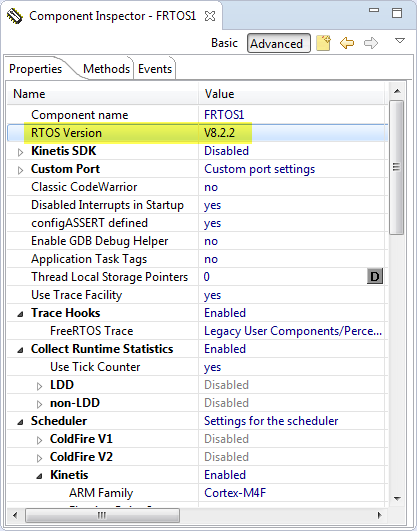 But this workaround prevents usage of the Kinetis SDK 1.3.0 components, so only works out nicely if not using Kinetis SDK components in the workspace. This entry was posted in ARM, CDE, Component Release, CPU's, Debugging, Eclipse, Embedded, Embedded Components, FreeRTOS, Freescale, I2C, Processor Expert, SDK, SourceForge, USB and tagged Eclipse, Embedded Component, FreeRTOS, Freescale, open source projects, Processor Expert, software project, technology by Erich Styger. Bookmark the permalink. Hey thanks for the updates. I don’t have a K65F (nor a K26F) board :-(. So I can easily add that option, but will not able to verify it. Could it be that that the K64F will work out of the box for your K64F? Can you try this? Hmm – I tied it and it froze KDS3 on generating code. Twice :(. 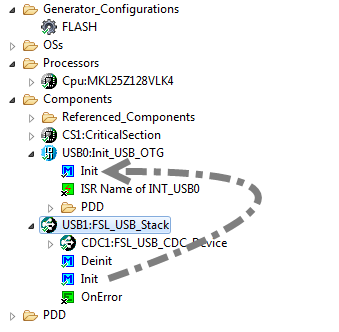 So when I include the FSL_USB_STACK it had problems below. 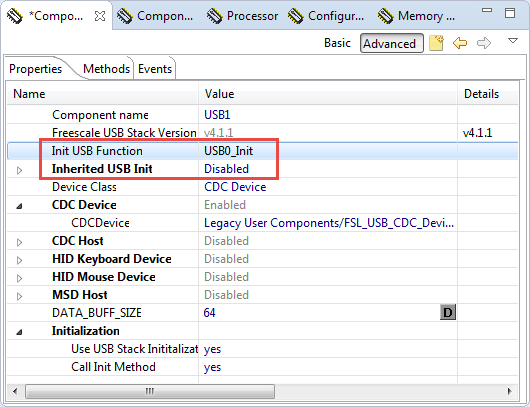 I disabled the Init_USB – and did as you suggested above for seperate USB0:Init_USB_OTG. Also added FatFsMem_USB_MSD. Oops 3rd time lucky – it generated the code. Oh but not missing include files fsl_os_abstraction.h removed which were removed when adding FreeRTOS component. 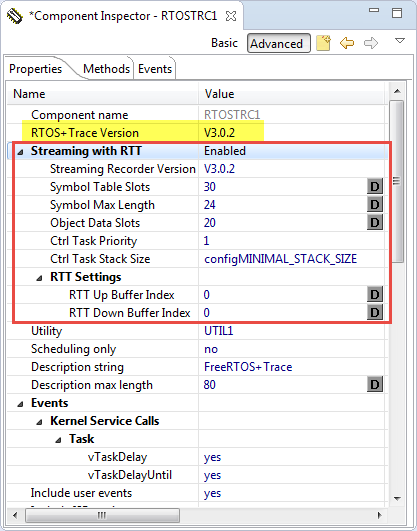 Did you add the FreeRTOS component from the KSDK or the McuOnEclipse one? 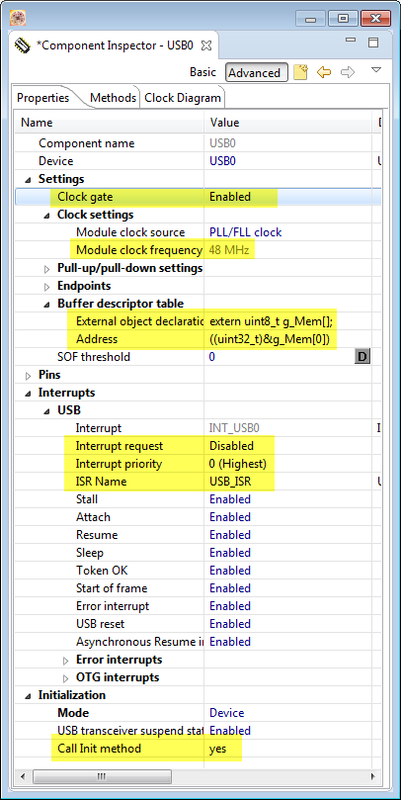 Selected clocks for 48Mhz, Added , FreeRTOS FSL_USB_STACK – selected device MSD Host CPU K64- unchecked Init_USB_OTG, Added component Init_USB_OTG and configured as per you great example here, added KinetisSDK. On linking couldn’t find EnterCritical/ExitCritical from host_ch9.c:USB_lock() – I ran out of cycles to deal with it. 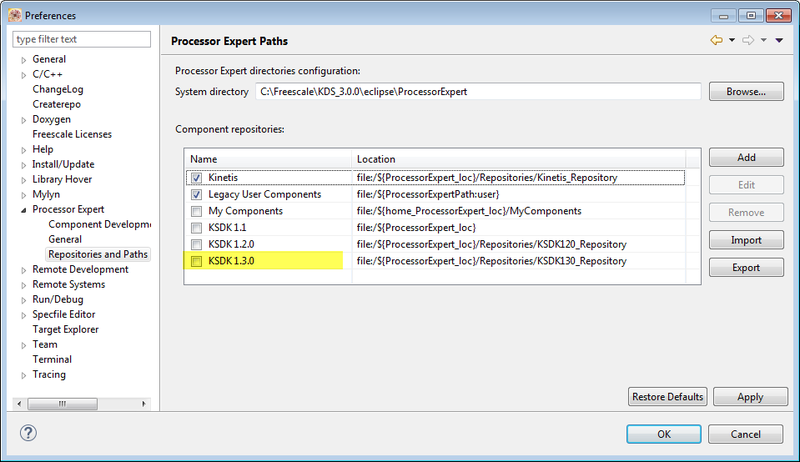 I see what you problem is: you have choosen to use the Kinetis SDK which is not compatible. 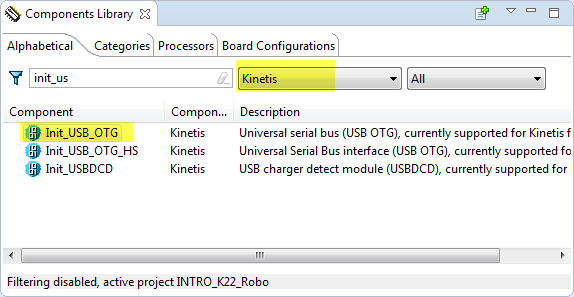 I have been trying to use your FSL_USB_Stack for CDC in Kinetis Design Studio, along with the SDK v1.3. I am following the fix of adding the SDK’s Init_USB_OTG separately, and testing on a Frdm-KL26Z board. I don’t really see how that relates to the usb stack, and the watchdog is disabled in the CPU component. But wdt_kinetis.c seems to be generated when I add the FSL_USB_Stack component. 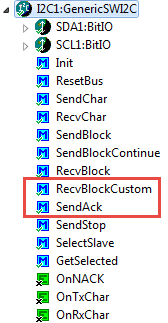 that stack has not designed to work with the Kinetis SDK (it had been created far before the Kinetis SDK), and I have not tried using it with the SDK. So what you see is probably a compiler error around the header files or includes with that SRS0 declaration? That is it. Yes, I had been using your library before the SDK, but I thought the workaround allowed to have some SDK components in the same project. My mistake. Thanks!